The beta version allows you to browse the web on a Chrome browser although note that this isn’t Chrome OS… but the browser Chrome. This is an excellent update and one that many RPi users will welcome. 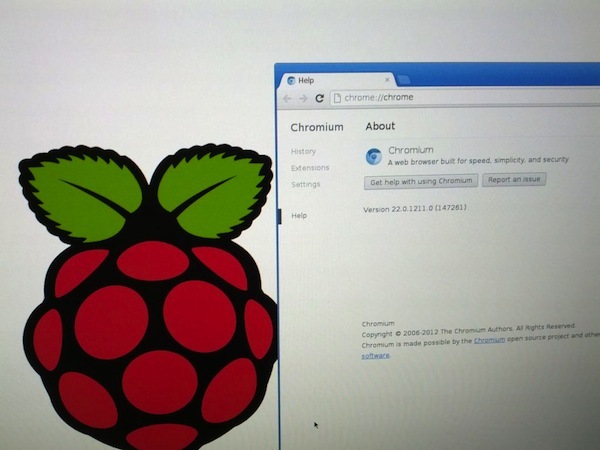 For those wanting the Chrome OS software, this apparently is being worked on for the RPi which could be handy for those wanting a small unobtrusive computer to carry around. Full details of where to get the browser from can be found over at Hexxeh.